Unwind with an in-house massage by Yarra Valley Massage or Massage in the Valley and Ranges. You can also visit Piaf Salon hidden among the mountain ash just down the road. Call us if you wish us to arrange an in-house massage for you. At the time of booking let us know which day and what time of the day you would like your massage. We will arrange everything for you and confirm the details of your massage and accommodation by email. A range of treatments is offered at Piaf Day Spa where you are surrounded by rainforest ferns and tall peaceful gums. 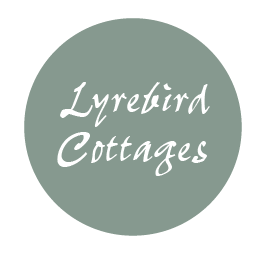 Lyrebird Cottages is the closest accommodation to Piaf Spa, which is only ten minutes away.